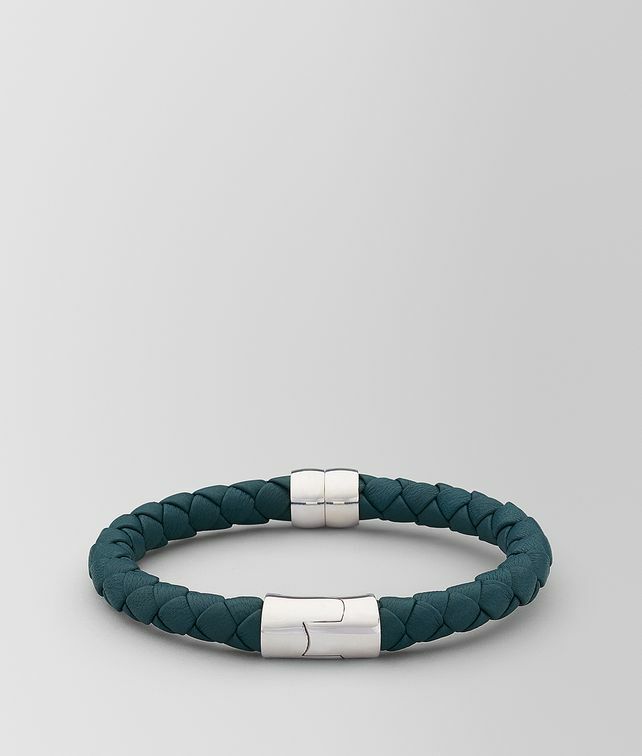 This slim nappa bracelet is simple yet sophisticated. The rigid design is accented with an oxidized silver closure, engraved with the intrecciato motif. Wear alone or combine with other bracelets. Size S: 17 cm | 6.7"
Size L: 19 cm | 7.5"